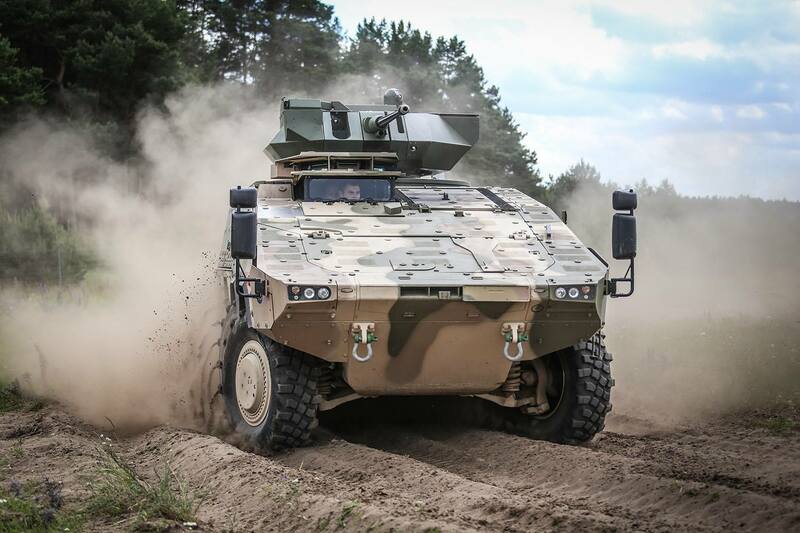 In December 2015 the Lithuanian Ministry of Defence announced, that they were favouring the Dutch-German Boxer multi-role armored vehicle (MRAV) over numerous other offers from international armored vehicle manufacturers such as General Dynamics (offering a version of the ex-MOWAG Piranha/Stryker), Patria (which offered a version of the AMV), Nexter (offering the VBCI), Iveco, Otokar, and FNSS. 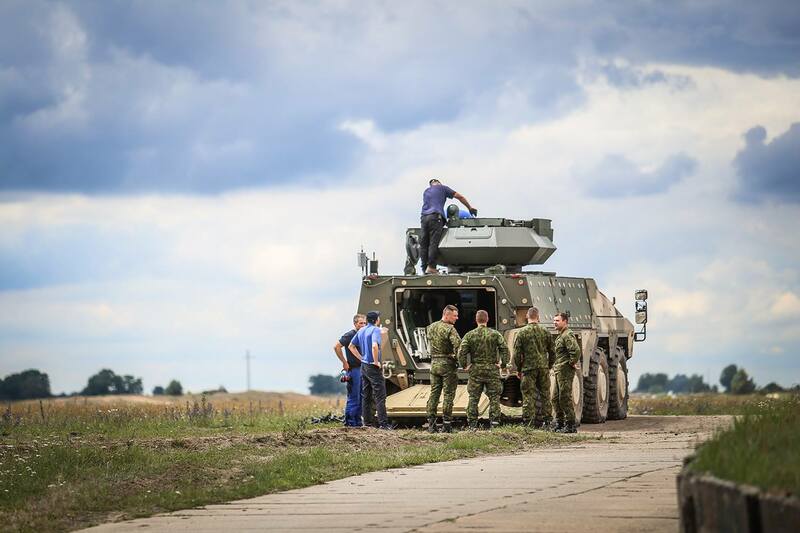 Subsequently they ordered the Boxer in an infantry fighting vehicle (IFV) configuration. 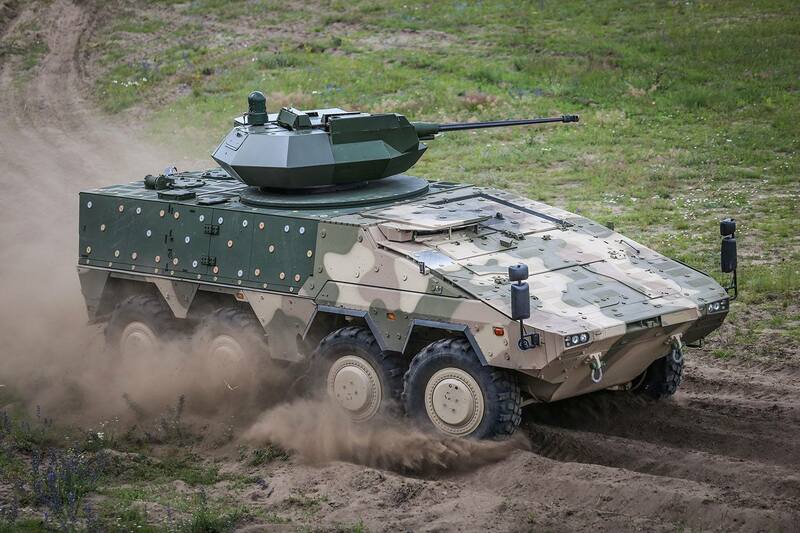 However the Lithuanian Army did not go for the original offered Boxer variant, which mounted the unmanned turret of the German Puma IFV on a special Boxer mission module. Instead the Lithuanian Army prefered to fit a Samson Mk II remote weapon station (RWS) from the Israeli company Rafael. 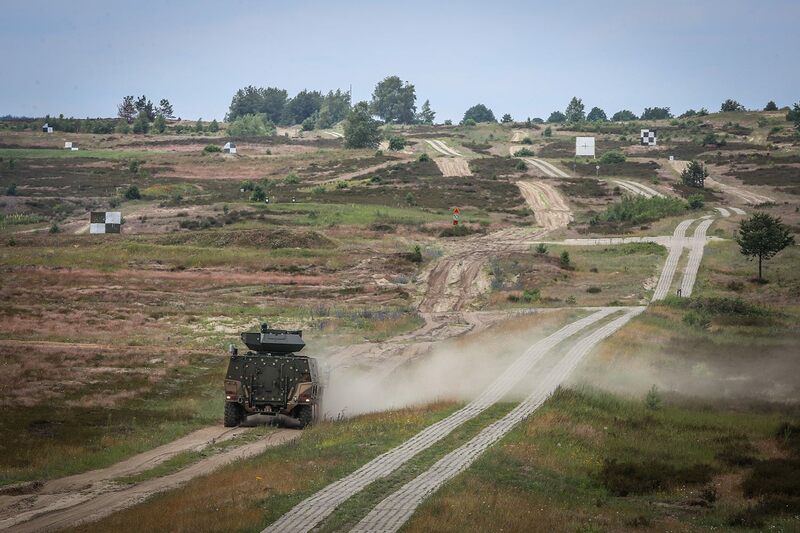 A number of photographs from the trials of a Boxer with the Samson Mk II RWS have been released by the Lithuanian MoD. Compared to the Puma's turret, the Samson Mk II RWS is in many aspects a downgrade. It is understood that the choice to opt for the Israeli weapon station is related to the high costs of the German offer. The Boxer with Puma turret was criticized by the Lithuanian government for being considerable more expensive than all other offers. The Puma turret however offers a much higher level of protection to begin with: The Samson Mk II RWS is not protected at all, but can be fitted with additional armor modules for protection in accordance to the STANAG 4569 levels 1 to 4, which essentially means protection from assault rifles to 14.5 mm armor-piercing (AP) ammunition from heavy machine guns (HMGs) depending on armor package. The Puma´s turret offers the same STANAG 4569 level 4 protection in it's basic configuration, but can be fitted with additional armor for an even higher level of protection (protection against 30 mm ammunition). This armor package also includes hedgehog armor against anti-tank bomblets from artillery and mortar shells aswell as an armored flap to protect the gunner's main optics. 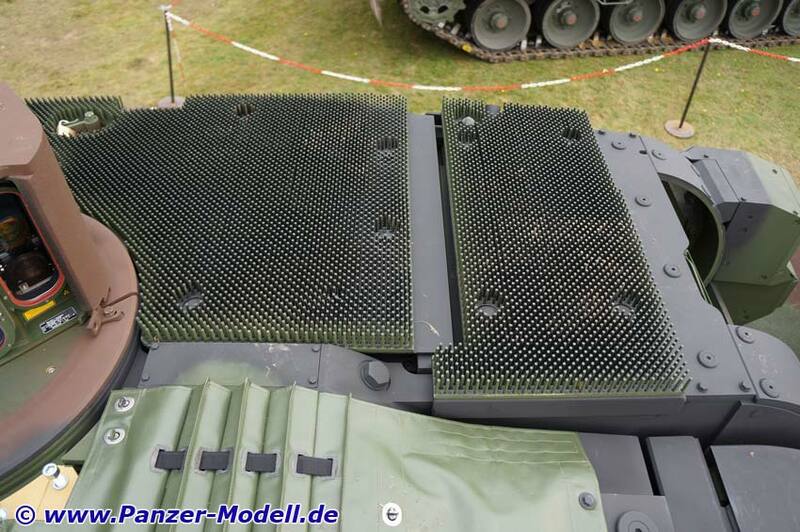 Furthermore the Puma's turret has the option to fit the German MUSS softkill active protection system (APS), which has already been fully integrated into the turret for the German Army. This system offers protection against anti-tank guided missiles (ATGMs), by using jammers and multi-spectral countermeasures. The Puma's turret offers better optics and for the commander's sight, there is a fibre-optical channel to directly guide the image to the commander's oculars, instead of only providing a digitized (and thus pixelated) image at the display. 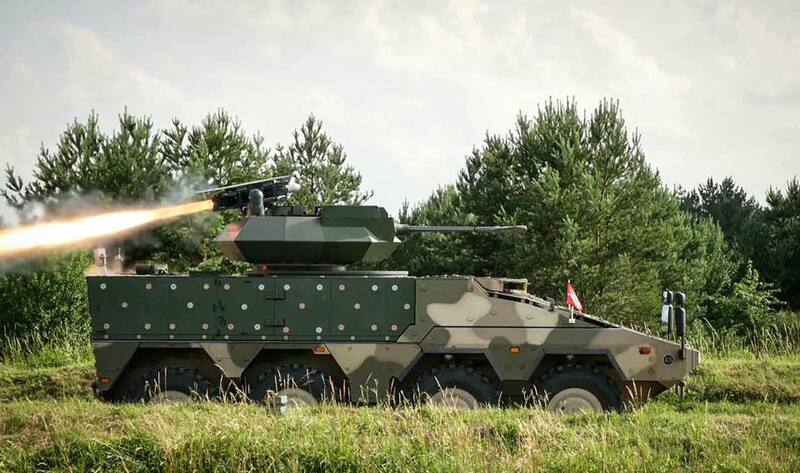 While in theory able to accept other guns, the Samson Mk 2 RWS on the Boxer module for the Lithuanian Army has apparently been fitted with the very common Mk 44 Bushmaster II gun from ATK (chambered in the same 30 x 173 mm calibre as the Puma's MK 30-2/ABM). This gun has two drawbacks compared to the MK 30-2/ABM originally offered on the Boxer with Puma turret: the dispersion of the Bushmaster gun is higher (at least when firing APFSDS ammunition from NAMMO) and it has no or only limited air-burst capabilities. The MK 30-2/ABM is fitted with a magnetic coil to measure the ammunition's velocity at the muzzle and to then program the fuze of airburst ammunition accordingly. The Mk 44 Bushmaster II lacks such a coil, instead airburst capability is only optional (and this has not been chosen by a customer to this day) with programming being done at the chamber - this system is less accurate, as it has to rely on estimated (or pre-programmed) data for the muzzle velocity. The Samson Mk 2 RWS has a weight of about 1.5 metric tons. It includes two MINIPOP optics (one each for commander and gunner) from IAI with daylight camera, laser rangefinder, and thermal imager; it thus can be used in a hunter/killer mode of operation. Ammunition storage is provided for 200 rounds of 30 x 173 mm ammunition and 230 rounds of 7.62 mm machine gun ammo. The RWS also includes a retractable dual-launcher for the Spike ATGM. Gun depression up to 20° and elevation up to 70° are possible with the Samson Mk 2 RWS. A benefit of the Samson Mk 2 RWS is the ability to reload the turret from inside of the vehicle. This can be beneficial when the gun runs out of ammo during combat - under other circumstances reloading form the exterior is better, because one does not have to move through the rather cramped exterior of the vehicle, which enables faster restocking of ammunition. The Boxer's modular design allows a faster and easier integration of new systems and mission modules compared to other vehicles. By separating the mission module (which here includes the RWS and seats for the gunner, commander, and dismounts) from the chassis, engine and driver's place, only a new mission module has to be developed. The mission module just needs to have the same interfaces as required by the chassis. This allowed testing the new module for the Lithuanian Boxers on an already existing German Boxer. How does the hedgehog armor work? 1.) The rubber spikes make the bomblet bounce off, completely rendering it useless against the vehicle. 2.) The rubber spikes change the angle of the bomblet - it is not facing directly at the roof, but is sloped in relation to the armor; it has to penetrate more armor. 230x 7.62mm rounds for real. that is like nothing for the secondary armament. I wonder on how much the difference is between both turret options. Hello, I would just like to say that I appreciate the effort you've put into the blog. A fascinating read as always, keep up the great work.